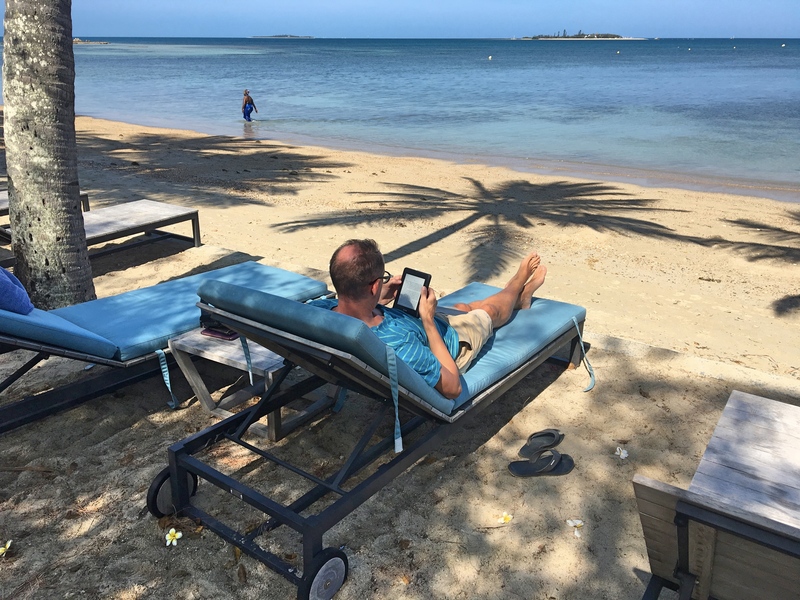 A sun bed, beach, water, and Kindle. That’s our life. Our last stop in the tropical South Pacific was Noumea, the capital of New Caledonia or, as it’s known here, Nouvelle Calédonie, a French colony special collectivity. Apparently we’re not supposed to use the word colony any more. At any rate, I’m not sure I had any concept of what or where New Caledonia was before we started researching our time in the South Pacific, but it’s a pretty interesting place. Now, I certainly should have heard of New Caledonia when I was a child; back in the 1960s it was Ernest Borgnine’s favorite port of call in McHale’s Navy. And slightly more importantly, during World War II after the fall of France in 1940 New Caledonia ousted the pro-Vichy governor and sided with the Free French resistance. Subsequently the capital, Noumea, became the headquarters for both the U.S. Army and Navy in the South Pacific. Interestingly tourism is not a big part of the economy here. Though New Caledonia has the kind of natural beauty and beaches one expects to find in the South Pacific, the ecological diversity is – by some analyses – the richest per square mile in the world, and the weather is notably dryer than most of the other islands in the region, the tourist industry is not well developed. For the tourist who does pass through, though, the system today seems to work remarkably well. The quarter of a million people who live here do pretty well economically; per capita GDP rivals some advanced economies and recent growth rates have exceeded three percent. 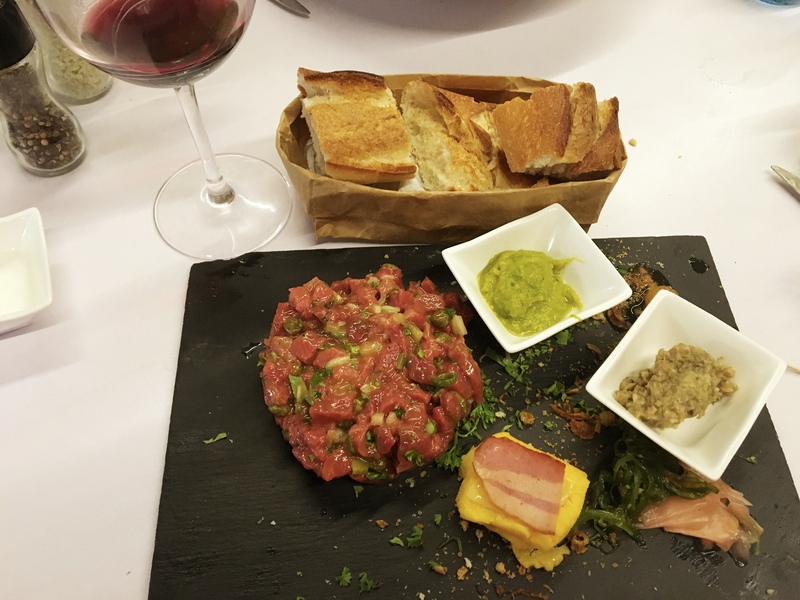 The French provide significant investments and – not surprisingly – encourage some great food (more on that below). 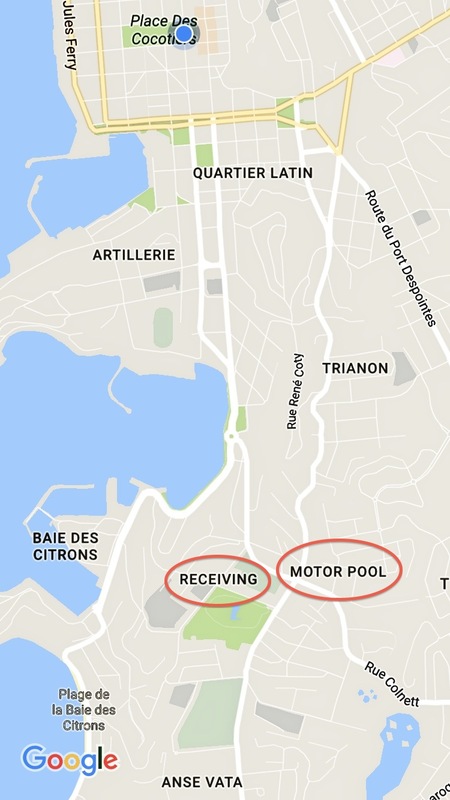 When you look at a map of Noumea you see districts with names like Receiving and Motor Pool, strange names for a Francophone city. Given its history as HQ for the U.S. Military during WWII, though, I guess it makes sense. At the same time, despite the relative health of the economy, there is a significant independence movement here, something invisible to those of us who are tourists. Both major political parties oppose independence, and residents here not only vote in French Presidential elections, they also have delegates in both the French Senate and National Assembly. (In other words, they have better representation than residents of Washington, D.C.) The indigenous people, though, primarily Kanaks, have been pushing for independence. They lost a vote in 1987 but another vote on independence is set for 2018. One of the ways the battle has played out in recent years is over the New Caledonian flag. The current status is odd; to placate the Kanaks there is both a standard French tricolor flag and an official Kanak flag. One country, two flags; definitely an unusual solution. 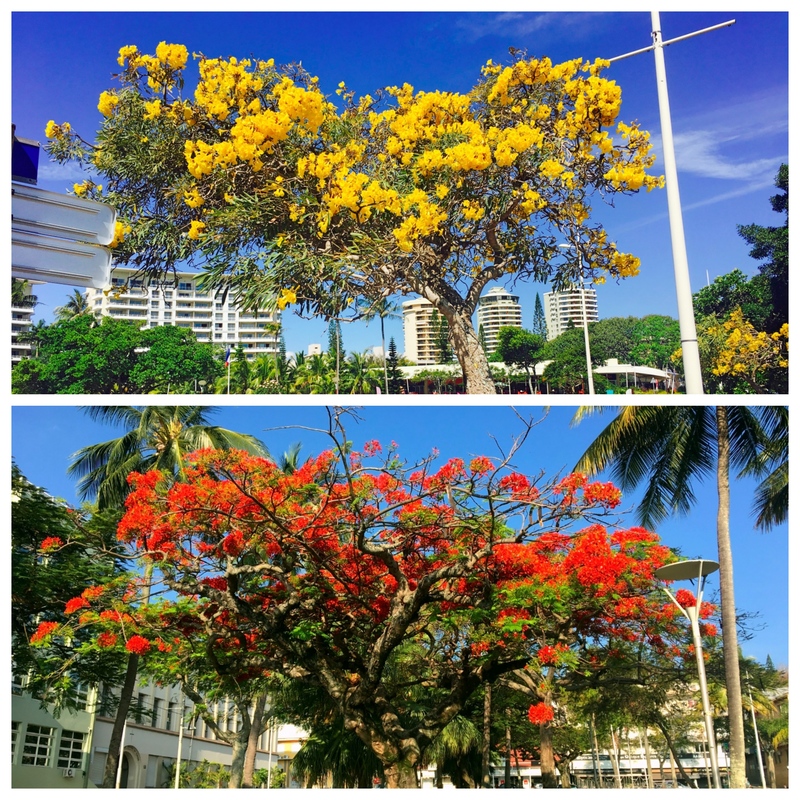 For us, New Caledonia was an opportunity to see one more part of the South Pacific but, in this case, with more of the Western comforts that you can start to miss after several weeks across Tonga, Samoa, and Fiji. And we were there to watch Hillary’s election, which … didn’t happen. Sadly, my experience there will always be tainted with that horrible afternoon watching someone who had identified and exploited the darkest corners of America’s soul get elected president. A week later and Mark & I both remain both horrified and depressed. I don’t know which will lift first or last longest. 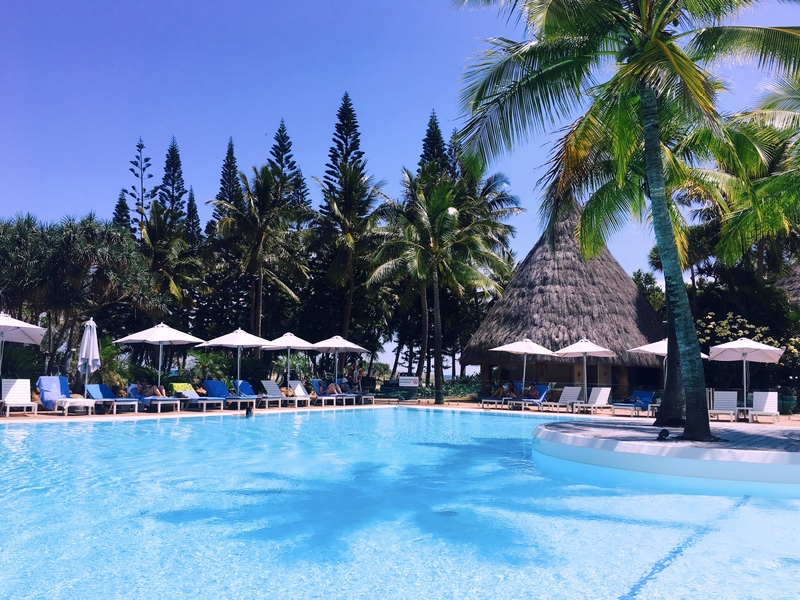 The good news from New Caledonia was a pleasant (though by no means spectacular) beach to relax on, a beautiful pool, and – most importantly – some really good restaurants. For the first time in weeks (except for the few days in Auckland) we had a variety of restaurants to choose from and they were mostly either really good or really, really good. 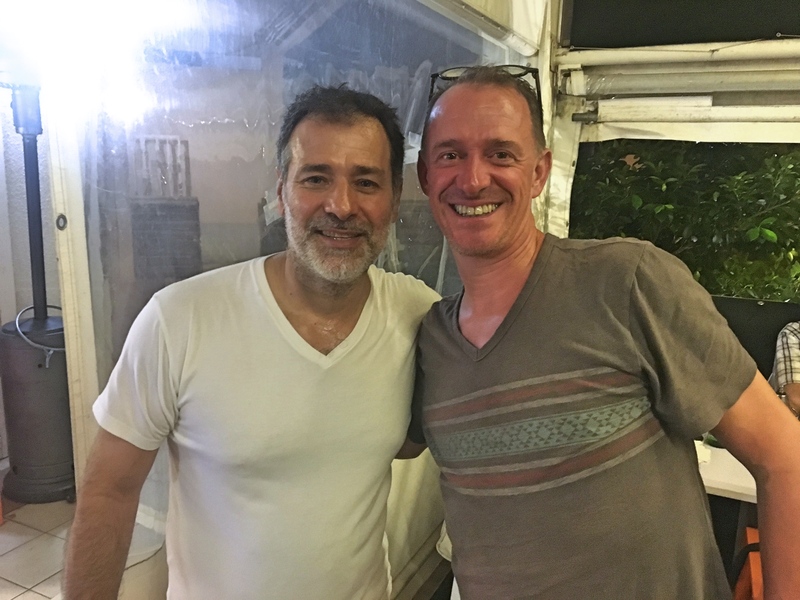 The best, if you’re thinking of going to Noumea, is a place called So Food, a little ten-table restaurant run by a Frenchman who lived for a couple decades in Marseilles but also cooked at restaurants in Morocco and … somewhere else. We ate there three times and every plate, every dish was amazing. 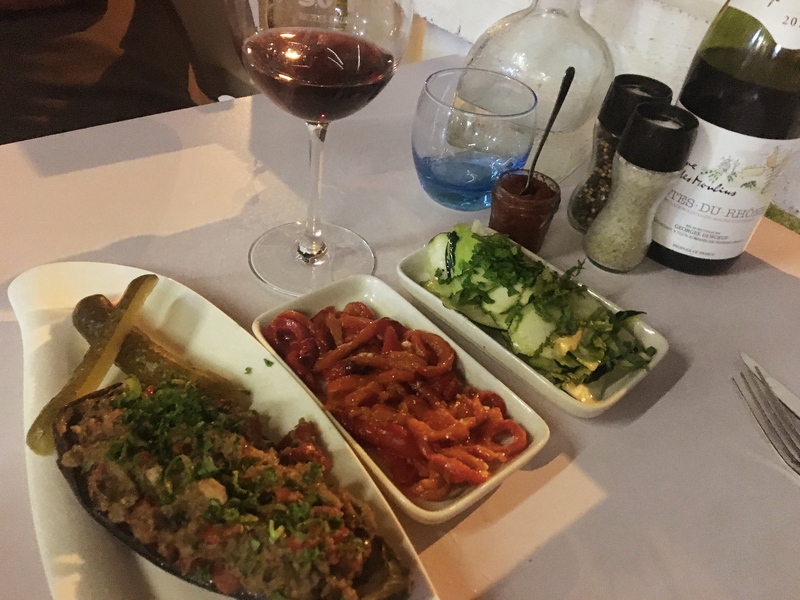 Steak tartare like only the French and Mark’s Dad make it, but also lots of flavors of North Africa and even Asian splashes. 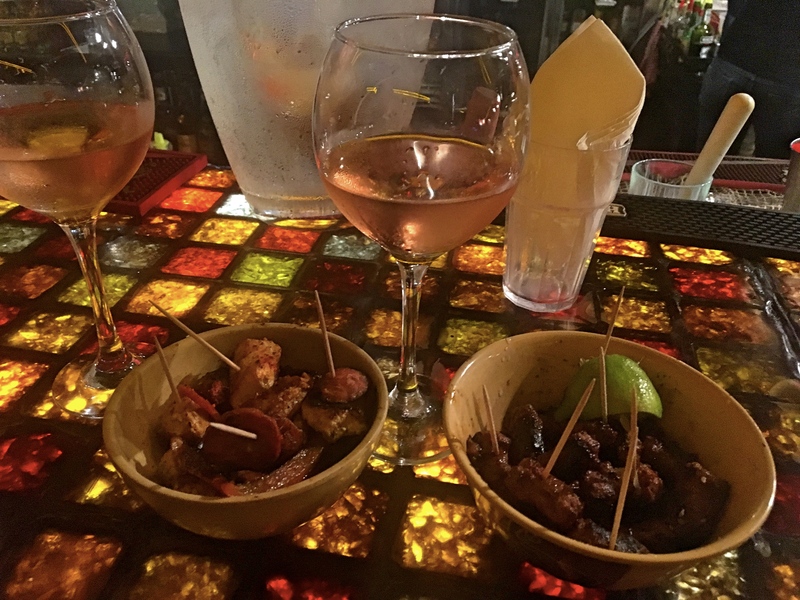 Another highlight was a tapas bar with great tapas in what was otherwise pretty much a dive bar. Good food, though. You wouldn’t come to New Caledonia for the greatest beaches or best tourist experience. For a change of pace, though, from other islands in the region and for the best food for hundreds of miles, this is the place to be. Just don’t come here to watch election returns. 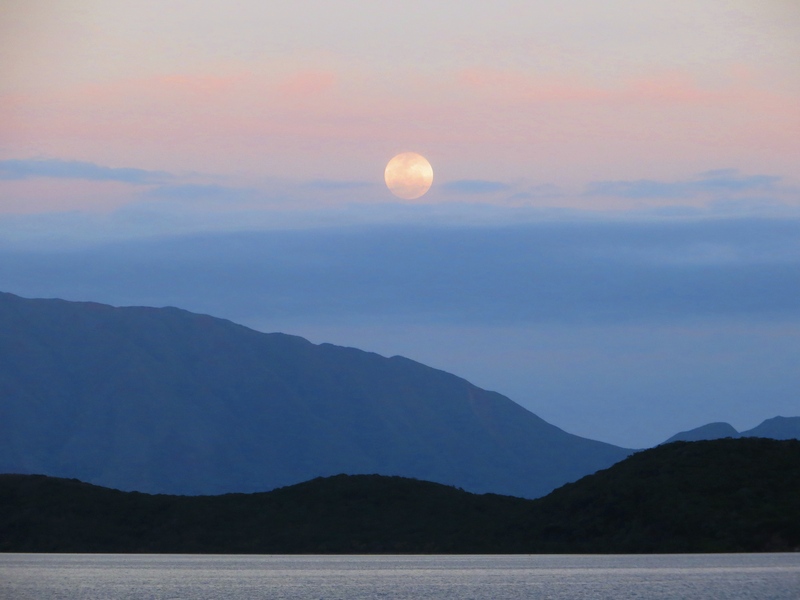 And finally, we were in Noumea for the November “Supermoon”, which occurs on those unusual occasions when a full moon coincides with the closest point the moon comes to the earth during the lunar orbit. This particular Supermoon was the biggest and closest moonrise since 1945 so we went out of our way to get a view.